Mitsubishi Motors' strong pick-up segment, the Mitsubishi L200, was introduced to the world press on 9 November in Bangkok, Thailand. The new Mitsubishi L200 will be available in Thailand on November 17th. 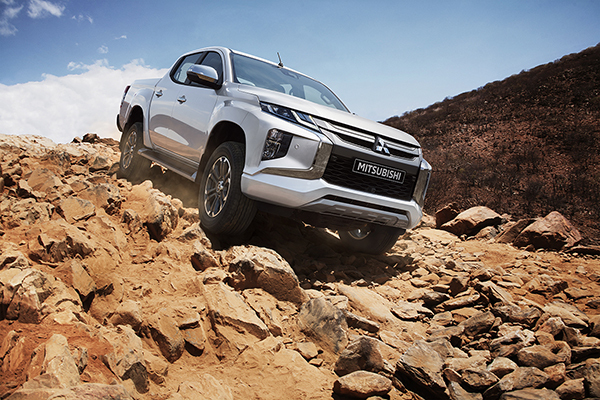 The new Mitsubishi L200, the latest version of the model celebrating its 40th anniversary this year, is the manufacturer and distributor of Mitsubishi Motors in Thailand. Ltd. (MMTh) by Laem Chabang Factory. Mitsubishi Motors' global strategic model of pick-up The new Mitsubishi L200 will be available in Oceania, Middle East, Europe, Africa and Latin America as well as other ASEAN markets following its launch in Thailand and around the world. will be available in the country. Yeni The success of the new Mitsubishi L200, one of the most important global strategic models, is vital to the company's sustainable growth, Mitsub said Osamu Masuko, CEO of Mitsubishi Motors, who made a statement about the world premiere of the new Mitsubishi L200. The new model also offers improvements in durability, reliability and comfort, which have been developed over the last 40 years since the launch of the L200. The new Mitsubishi L200 has been developed in line with the promise of “Beyond Power Yeni, which is fundamental in its production. Among the factors that give the vehicle competitive power to its competitors is the more powerful design in the latest version of the Dynamic Shield design concept; an improved 4WD system with improved performance in the field and the latest active safety and driving assistance systems. In general, the new model offers a comprehensive retouching that is demanded by business users for durability and reliability, and that individual users look for in comfort and driving. The front of the vehicle incorporates Mitsubishi Motors 'new design “Dynamic Shield' design concept. The high engine cover line and the more powerful headlights, which look more powerful, give the new model a stronger front view. Newly designed trunk lines with sharp lines, With extended fenders and high gloss accents, Mitsubishi Motors reinforces its pick-up approach to provide a modern look. The headlamp and bumper parts become part of the powerful design and surround the front and rear designs. Both Super-Select and Easy-Select 4WD use GRAVEL, MUD / SNOW, SAND and ROCK (only in 4LLc) with a new Land Mode. When switching to Off-Road Mode, this mode automatically controls motor power, power transmission and braking to regulate skidding and maximize all-terrain performance as well as self-recovery performance in mud and snow. Both Super-Select and Easy-Select 4WD use GRAVEL, MUD / SNOW, SAND and ROCK (only in 4LLc) with a new Land Mode. When switching to Off-Road Mode, this mode automatically controls motor power, power transmission and braking to regulate skidding and maximize all-terrain performance as well as self-recovery performance in mud and snow. Both Super-Select and Easy-Select 4WD use GRAVEL, MUD / SNOW, SAND and ROCK (only in 4LLc) with a new Land Mode. When switching to Off-Road Mode, this mode automatically controls motor power, power transmission and braking to regulate skidding and maximize all-terrain performance as well as self-recovery performance in mud and snow.